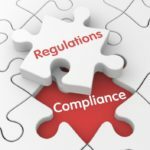 A new study by the Centers for Disease Control (CDC) revealed the top three industries where occupational hearing loss is the most common – along with some other interesting findings. The CDC’s Occupational Hearing Loss Surveillance Project compared the prevalence of hearing loss within nine U.S. industry sectors from more than 1.4 million worker audiograms. The audiograms were from workers exposed to high noise levels from 2003 to 2012, defined as greater than 85 decibels on the A-scale. First, the facts on hearing loss according to the CDC. Hearing loss is the third most common chronic physical condition in the U.S., and it’s more common than diabetes or cancer. Occupational hearing loss is also the most common U.S. work-related illness. About 22 million U.S. workers are exposed to hazardous occupational noise. Some of the results from the recent study weren’t surprising: A greater percentage of males had hearing impairment (14%) compared to females (7%). And the severity of hearing loss increased with age. But this new study was the first to estimate the prevalence of hearing loss by industry sector. The mining sector had the highest prevalence of workers with any hearing loss (17%), followed by the construction sector (16%) and the manufacturing sector (14%). The public safety sector – which includes police officers, firefighters and corrections officers – had the lowest prevalence of workers with any hearing loss (7%). 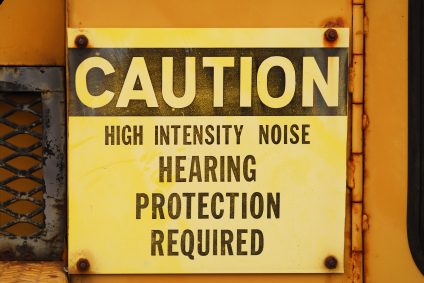 Occupational hearing loss has been well-established in construction, but current noise regulations don’t require audiometric testing for construction workers. Without testing, intervention could be delayed and or might not occur. Some manufacturing sub-sectors – such as wood product, apparel and machinery manufacturing – have occupational hearing loss risks as high as those in mining and construction. The authors concluded the study by saying that early detection of hearing loss by annual audiometric testing and intervention to prevent further loss (such as training) is critical. The study results support beginning rehabilitation for workers at a mild level of hearing impairment to help workers’ quality of life.